Earlier this year, Dani Alexander was selected as the winner of the Urban Wild Writer Residency. The residency is a collaboration between Urban Omnibus and Freshkills Park that seeks to bring a firsthand perspective to topics like the environment, technology, urban life, nature, and waste. As writer-in-residence, Dani had personal access to the unopened park’s diverse ecosystems. 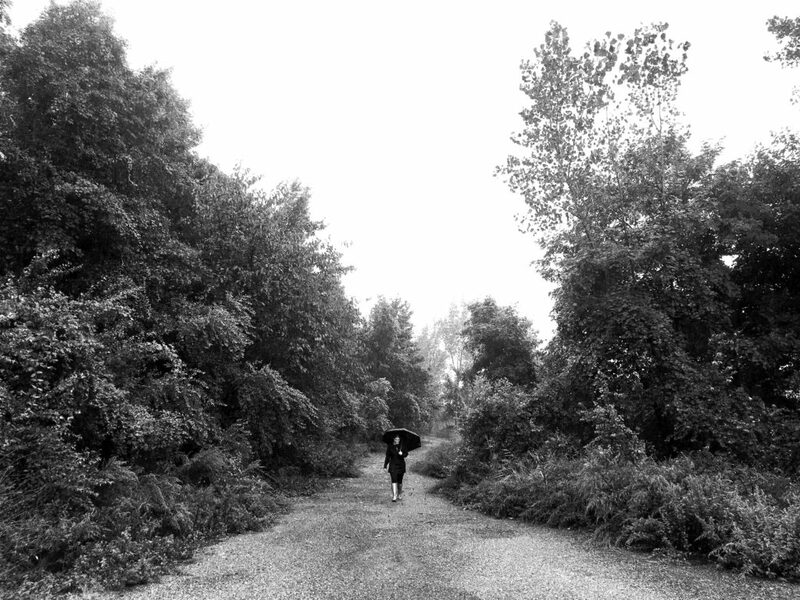 After several visits in August and September, she produced a work of creative nonfiction about Freshkills Park. The essay was published online by Urban Omnibus in the fall. 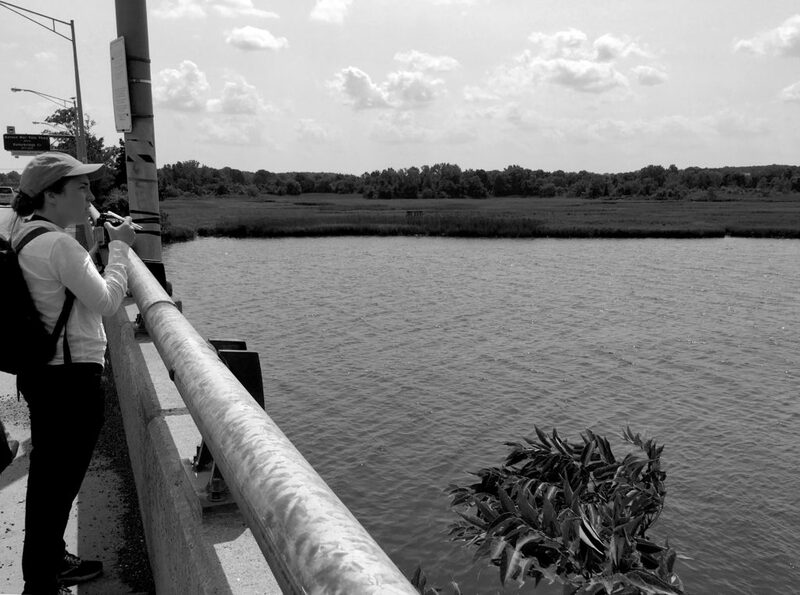 What drew you to Freshkills Park and the Urban Wild Writer Residency? As a native New Yorker and Landscape Architect, working on this essay has personal and professional significance for me. I was born in Queens, and so some of my trash is in the Fresh Kills Landfill. It is impossible for me to sever the mental connection between the waste I produce and the shape and size of the site. My family later moved out of the city and to Nassau County. Growing up in Merrick, New York, we referred to our dump as “Merrick Mountain.” When I was in high school, the capped landfill of “Merrick Mountain” was reopened as Norman J. Levy Park and Preserve. My friends and I were stunned – the heap of trash that we once joked was full of dead bodies and treasure was now a park with kayak launches, toads, and a roaming heard of goats performing brush maintenance. I had never heard of such a thing before. Years later, I learned about Freshkills Park as a landscape architecture student, where I studied the master plan produced by James Corner Field Operations. It is precisely the type of project that inspired me to pursue a career in landscape architecture – a herculean effort to coordinate experts to remediate and reclaim a site. In graduate school, we were asked to consider what it means to be human in our time, to question the relevance of our work and clarify our personal values. To me, this project represents the answer to that question. To be human in our time is to work across disciplines and agencies to bring together ideas and resources to tackle seemingly insurmountable problems – and create something beautiful. I believe we can take responsibility for the past and when we can’t fix things, improve them. At the same time, I am continually aware we are running out of time to address the rising temperature of the Earth, to help those who are in need, and to save threatened places and species. My optimism is what moves me to action. This project is a reminder of what is possible: we can transform degraded landscapes, and it is why I love my job. Our inaugural Urban Wild Writer in Residence reports from the four mounds of the future Freshkills Park. Describe how you structured the residency experience. Where did you go? What did you do? Who did you talk to? The residency advertised a five-day on-site component, to be broken up however the writer-in-residence saw fit in August and September. In my writing, I love to capture change, and so I knew right away that I wanted to come to the park early, still in the heat of summer, and then again as late as possible within that time frame. I started with a four-day visit in August, to immerse myself and to meet as many people working in the park as possible. Each day, my mornings began with interviews, learning the roles of the NYC Parks staff working on the project. Then, I would head out into the park to walk the site. I returned at the end of September for two days and spent the entirety of that time on site. I squeezed a bonus day into the schedule, and the team was more than willing to oblige. Because the majority of the park is still closed and will be for years, I attempted to capture the experience of being a solo explorer, making discoveries and being surprised by encounters with wildlife and with engineered elements in the park. The place does feel very empty of people due to its scale; however, there are times where I also had human encounters. I stumbled upon a bunch of construction workers taking a break in a shaded corner. Once, a security car came and investigated who I was and why I was there. The site is actively maintained by NYC Department of Sanitation, so there were times when trucks rolled by on their way to the waste transfer station. While attempting to perform weekly water sampling and wetland monitoring, the NYC Parks team and I ran into NYC Department of Sanitation staff performing their biannual water quality and benthic invertebrates sampling. So, this tranquil place can feel very active at times! The interviews helped provide background information on the park but also reveal each person’s unique perspective on the ongoing work. Over the course of the first four days, I met with Manager for Programs, Arts, and Grants Mariel Villeré, Summer Intern Caitlyn Simon, Manager for Science and Research Development Dr. Cait Field, Educational Programming Associate Terrance Caviness, District 2 Parks Manager Tony Arcamone, Environmental Field Engineer Leida Jorge, Senior Project Manager and Landscape Architect Andrew Deer, and Eloise Hirsh, the Freshkills Park Administrator and President of the Freshkills Park Alliance. There were also opportunities to interact with the NYC Parks Wildlife Unit and the Department of Sanitation. It was inspiring to spend time with such a mission-driven team. I easily could have written an entirely different article with the staff as the focus. In your application, you expressed interest in the site’s systems: “the movement of water, layers of constructed soils, seeping of gasses.” What did you end up learning about these systems during the residency, and did the topic end up playing a big role in your writing? I’m by nature very curious. I love engineering – I love knowing how things work. I love pipes, pumps, engines, and concrete. I love gross stuff. I love projects that tell their site’s complex stories. This site is a palimpsest of cultural, ecological, and geological history and I wanted to write about everything! I soon discovered that was impossible. The site is just too huge. I’ve seen technical drawings and have a general understanding of how these systems function, but it isn’t my expertise. I had great conversations with the project’s Landscape Architect and Field Engineer that brought the inner workings of the park infrastructure to life. In my essay I make a point to describe that these systems are changing as the park is constructed. Capping this site has been ongoing for a long time. South Mound’s cap is more than 20 years old! With a project this long, it seems obvious to consider that soil specifications would change, capping technology would improve, and the methane well equipment would be different. Until I was on site, this was difficult for me to conceptualize. In my essay, I highlight the invisible systems at work and at times, build them into characters I interact with. Walking the site, a person can see the methane wells, but can’t see the network of pipes. A person can see gabion outfall structures conveying stormwater, but can’t see how they are all connected. A person can see the plants, but might not know how they got there. I’ve tried to describe how the systems we can’t see manifest themselves in the spatial qualities we experience. Tell us about the pocket-sized booklets you’re working on. How do they document the process and material qualities of the site and your residency experience? This is a part of the way I have worked in the past, and I was excited to re-engage this process again for the essay. I love thinking about how we interact with physical objects, and I’m someone who always loves to hold a physical book when I’m reading. For me, to consider both the organization of the piece and the organization of the physical book creates a symbiotic relationship, where I can play one off the other. While on site, I took samples of plants or collected items like crushed glass. Once I was back at home working on the piece, thinking about the themes of layering, reuse, and decomposition on site, I embarked on an investigation integrating these items into handmade paper, using my field notebook as the paper base. I shredded my unused notebook pages and submerged the objects into the pulp. This resulted in some exciting textures and colors, which to me, represented my different experiences on site. Now I’m at a point where I am trying to decide if I want to include any imagery in the booklet in order to better orient the reader. I’m still working on the prototype, but I’m excited for the big reveal in November! Dani Alexander’s publication coincides with the opening of Capturing Change: Freshkills Park, an exhibition of photographs documenting the evolution of the world’s largest landfill-to-park project. Join the mailing list to see more from Urban Omnibus + Freshkills Park collaborative projects.